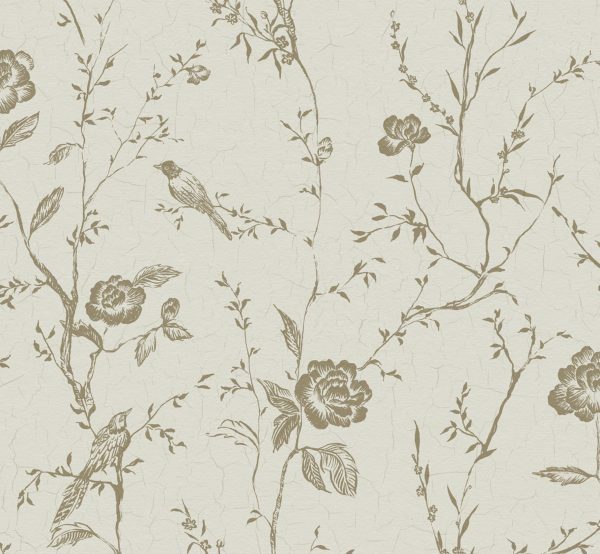 Delicate silver and gold birds, branches and blossoms trail across an antiqued background in this charming design. 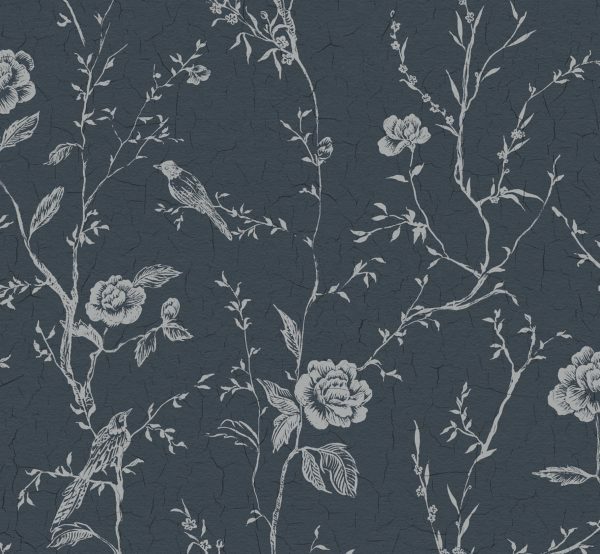 Available in four subtle colour combinations. This wallpaper is washable, with good light resistance and strippable. 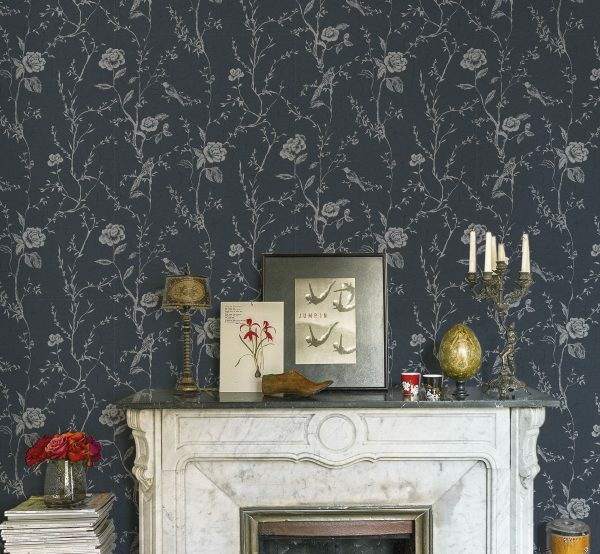 Paper Moon presents a new collection of wall coverings inspired by the decade of the 1920s in Paris, the Années folles (“crazy years” in French). A period when artists and intellectuals converged at an exciting and irreverent city that had a lot to offer. A Café society willing to transgress in new forms of art and social behavior. Avant-garde and surrealism movements coexisted with the inherent and classic elegance of Paris.